What was Monroe's original name? What was her upbringing like? What did she say about this later in life? What did she experience as a teenager? Where was she working in the war years when a photographer spotted her and advised her to become a model? How successful did she become as a model? Why did she change her name to Marilyn Monroe? What was her early movie career like? What films did she star in when her career took off in the 1950s? What controversy from her past encouraged her fame? How did Hollywood exploit this controversy? What kind of roles did she play in her movies? What was Monroe's private life like after she became famous? Why did her marriage to Joe Di Maggio fail? Who did she marry after him? What did she suffer during this marriage? Who was she rumoured to have have had affairs with? How did Monroe die in August 1962? Why is her death still controversial? What effect has her death had on her fame? What is her legacy? 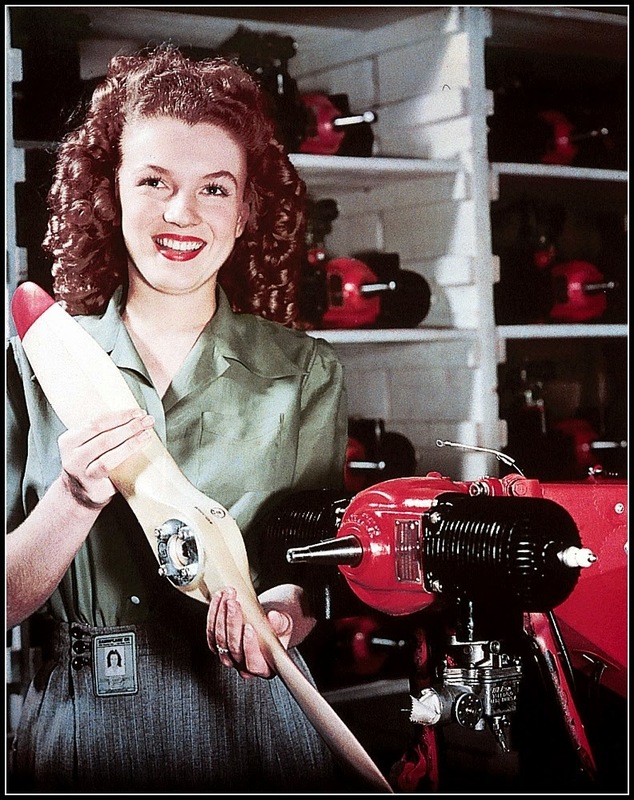 The future Marilyn Monroe working in a munitions factory during World War II. She was discovered there by a talent scout from the US Army Motion Pictures unit, in charge of producing morale-boosting films for US soldiers. The scout had been sent by his commanding officer, Captain Ronald Reagan. 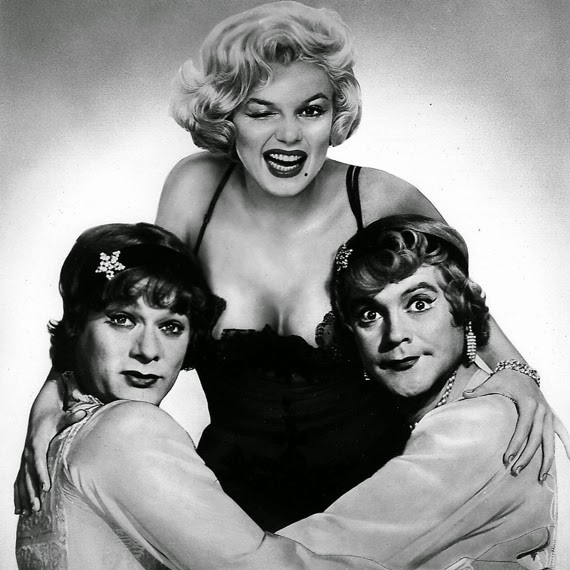 Some Like It Hot: Monroe and her co-stars Tony Curtis and Jack Lemmon. Monroe talks to President John F. Kennedy after famously singing him Happy Birthday at a special celebration. This is the only (genuine) photo of the two of them together, but they are rumoured to have had an affair. 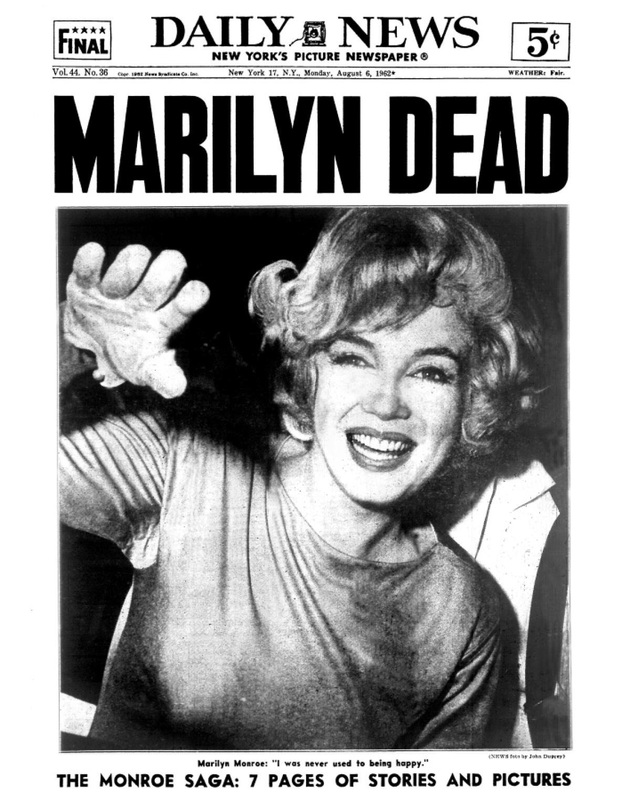 Monroe's death in 1962 shocked the world.